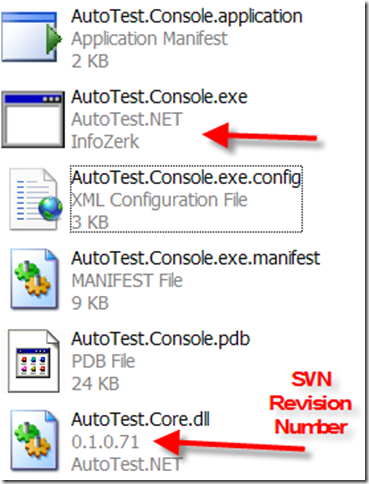 Recently I mentioned I mentioned that I wanted AutoSpec in .NET, but it looks like James Avery has already created it awhile back as AutoTest.NET. I gave the project a little automated build love using UppercuT (a super simple to use build framework. Automated builds as easy as 1 (solution name), 2 (source control path), 3 (company name)). Then I noticed the project looked like it wanted to use log4net, but hadn't really sat down and put that in yet. So I added that as well, plus a few more logging notices (in the picture below you see a log4net configuration error in grey - If I had to guess, my configuration is missing something that Ninject uses for logging). I will be trying to get on as a committer, but if I can't, I will just submit a patch. In this picture you can see that I had this running. I put an Assert.Fail in the test and built the project. 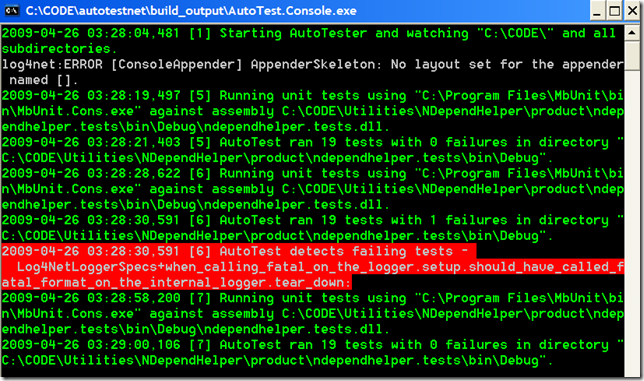 AutoTest detects the change, automatically runs my unit tests, and gives feedback very quickly. 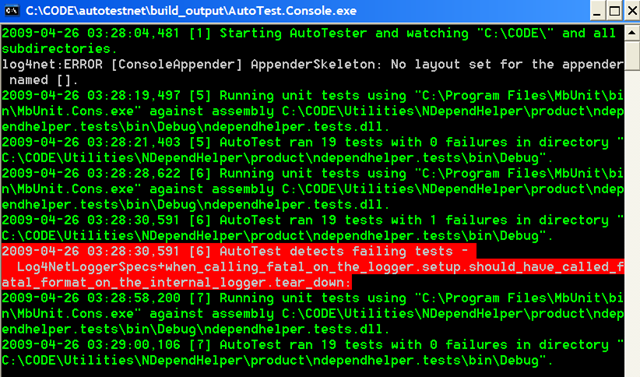 So I get a nice message telling not only that I have unit tests failing, but which ones they are. Then I fixed it and rebuilt the project. This is pretty handy and keeps me continuously verifying my code. 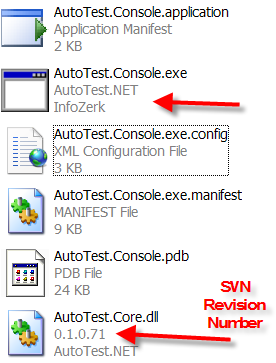 This is set up to work with MbUnit, but I believe it is a very simple change to the configuration file to point to where NUnit is installed. Just run build.bat and you are good to go.